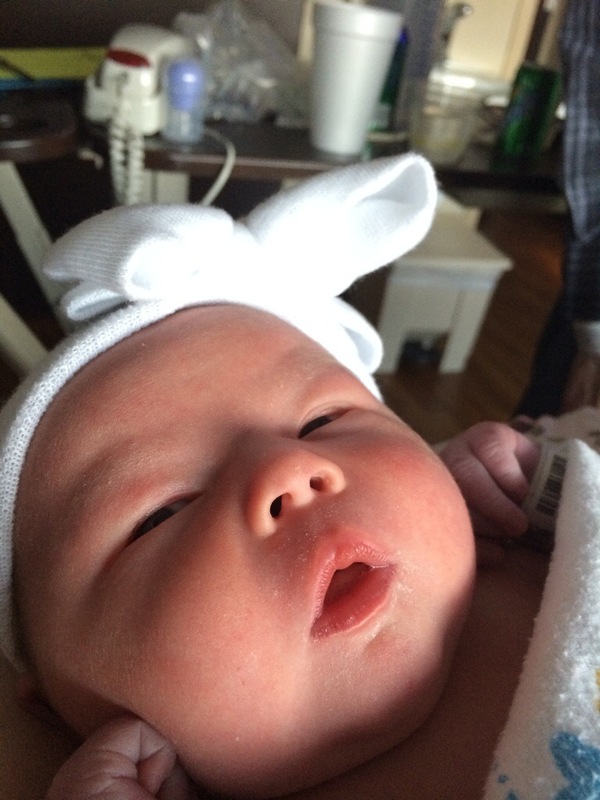 When Madeline was born she weighed 7 pounds, 10 ounces. Quite a good size for a 38 weeker. 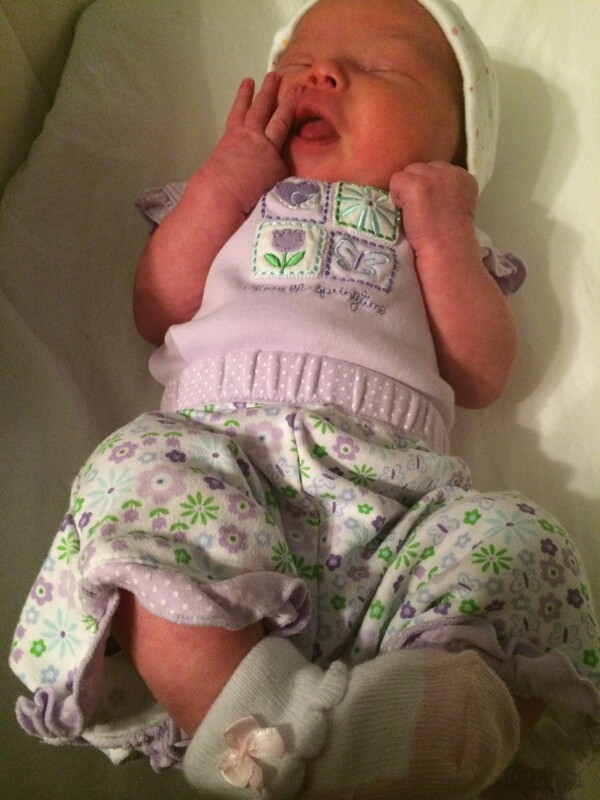 At one day old she was 7 pounds, 4 ounces and the day we went home she was 7 pounds, 1 ounce. At her one week appointment she was back up to 7 pounds, 4 ounces and her pediatrician was happy with that and so were we. 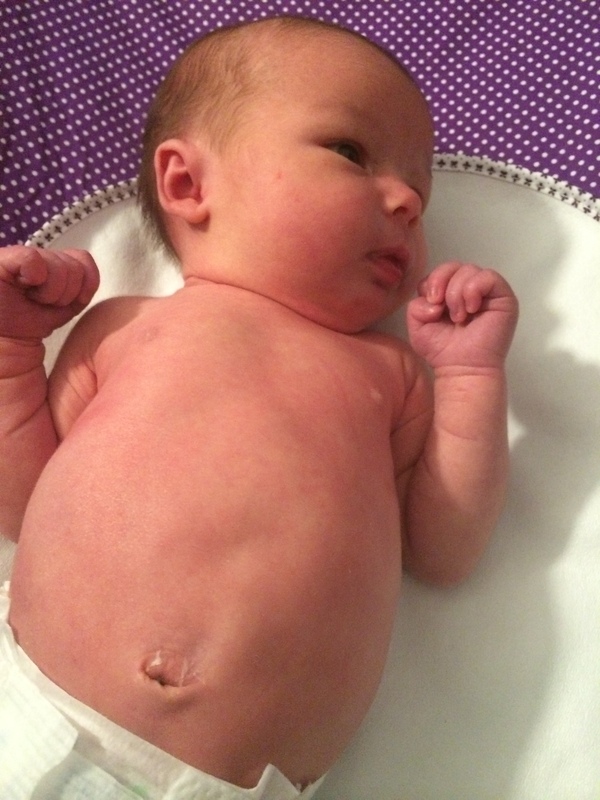 When we went in for her two week appointment she had dropped some weight and now was down to 6 pounds, 15 ounces. Her doctor was concerned. Which freaked me out. All I could think of was how I had read an article about “failure to thrive” and now here we were – she was losing weight when she had been gaining – surely this meant she was going to end up in the hospital – I was obviously not doing something right. I’m not sure if these are normal “new parent” thoughts or if this was just an extension of my fears from having lost Josh last year. At this doctor’s visit we discovered she had Thrush (and so did I – ouch! ), which certainly wasn’t helping her eat and was interfering with an already poor, shallow, and incredibly painful latch . We were told to supplement and schedule weekly weight checks. 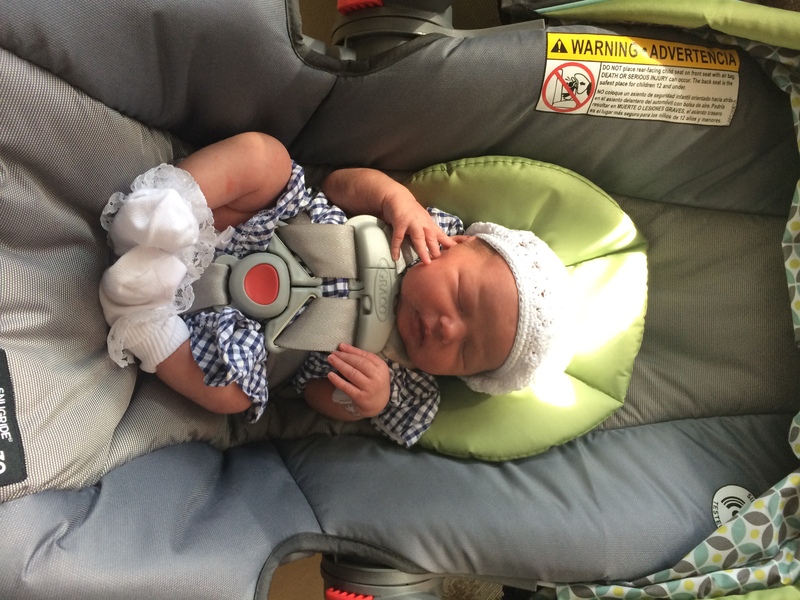 I made an appointment with a lactation consultant, ordered an infant scale, and tried my best to not feel discouraged. I knew she was getting milk. We nursed on demand and I always made sure she didn’t go more than 2-3 hours without eating. She always seemed satisfied when she stopped. But I was worried about how much weight she had lost. We could see it in her cheeks. Her once extra squishy cheeks had started to thin out. 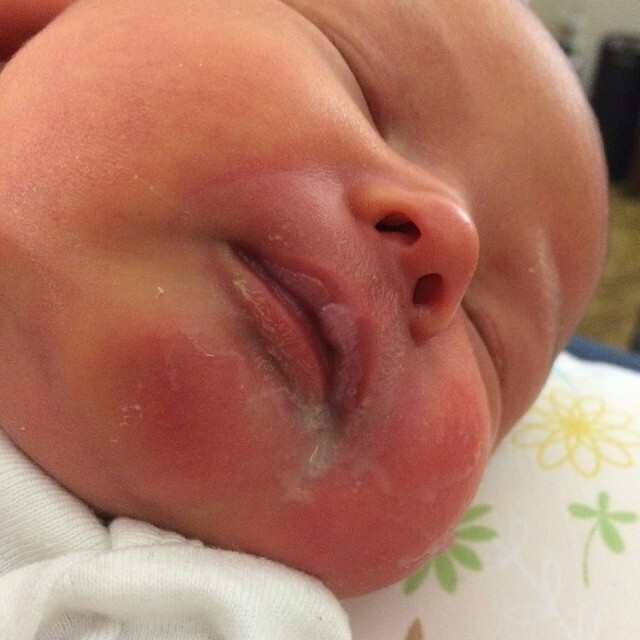 I met with the lactation consultant who told us not to supplement. 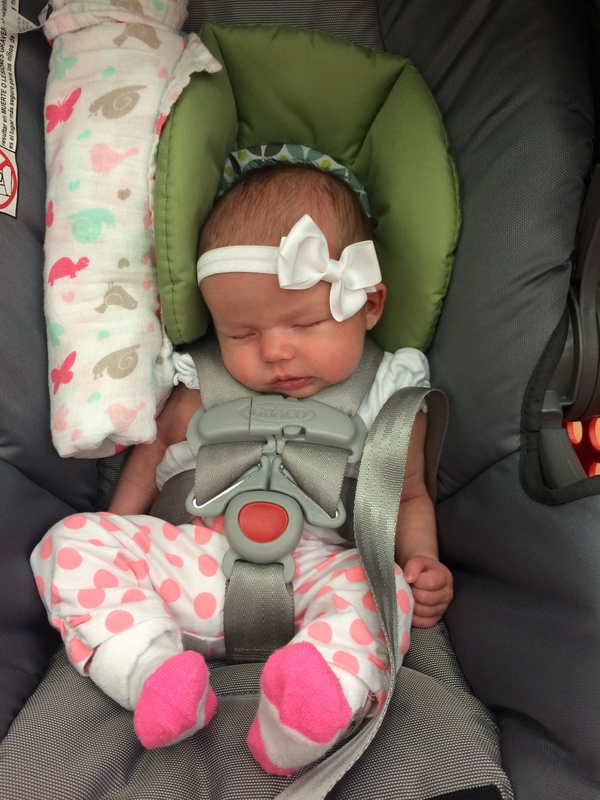 We went back to the pediatrician for our first weight check and she once again told us to supplement. It was all very confusing. I wanted to do what was best for Maddy, and clearly I was being told two very different things. I wasn’t against formula, I just knew that I really wanted to keep nursing too. In the end we made the decision that we thought was best for Madeline. I continue to nurse her and then if she still seems like she is wanting more, we offer her either pumped milk or a little bit of formula. So far this is working. At one month she is up to 8 pounds and the squish has come back to her cheeks! I know that when I go back to work we will most likely have to supplement with more formula and I’m okay with that. I will continue to nurse her every chance I get and I will pump while I’m away at work. I’m trying my best to not feel bad about this. I wish I was able to say we exclusively breastfeed, but at the end of the day her health is all that matters not my pride. Besides, her daddy loves to help feed her and honestly, it’s nice to be able to have a minute to cook dinner while he does. 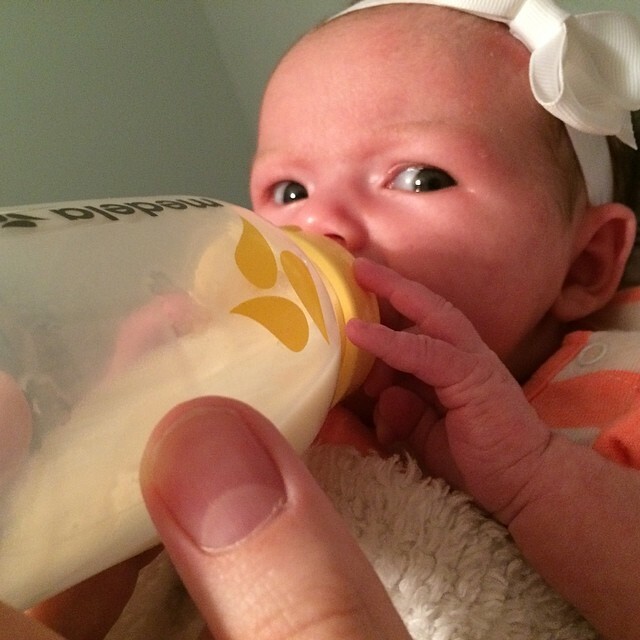 Thankfully, she is an easy going baby and can transition between bottle and breast without any issues. Her latch is still not the best, but it works and I know that she is getting plenty to eat. Her milk drunk face tells me that. All of this is to say that if you are struggling with breastfeeding, formula feeding, or whatever relax. At the end of the day, however you are doing it, you are feeding your baby and giving him or her the very best that you can and that is all that matters. I think we put too much pressure on ourselves as moms to “do the right thing” when in all honesty there is no right or wrong way to feed your baby in regards to breast over bottle. You do what you need to do in order to make sure your little one is healthy and strong and that’s all you have to worry about.